C7 LED strands are similar to the traditional Christmas lights of years past. 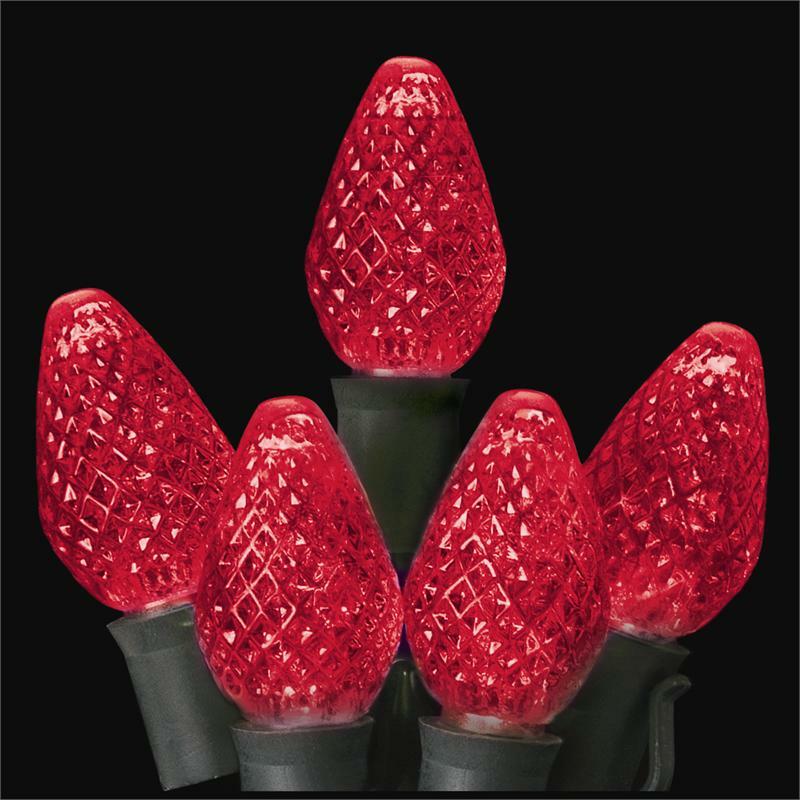 These lights work great on Christmas trees, roof lines, walkways, pillars, wreaths, and outdoor bushes and trees. These strands have a sealed light system made by using injected molded sockets. The sealed system prevents bulbs popping out and water from entering the socket. These lights do NOT have replaceable bulbs.